What makes your beef organic? It’s all about how we treat the cattle. Our organic, 100% grassfed beef is produced without antibiotics, toxic pesticides, synthetic hormones or GMOs. At its core, raising organic beef means respecting our animals, our farmer-members and our environment. All our farms, feed and facilities are certified organic by annual third-party inspections. What are the health benefits of eating organic 100% grassfed beef? Organic beef minimizes your risk of exposure to antibiotics, pesticides and growth hormones. Organic beef is also an excellent source of protein and a good source of iron, zinc, selenium and B vitamins. Finally, organic 100% grassfed beef has a more favorable ratio of omega-6 and omega-3 fatty acids than conventional beef. Organic pasture —grass and other plants. Just the way nature intended. Omega-3 fatty acids are essential building blocks for human life, but our bodies cannot make them. We can only get them from what we eat. In nature, green plants generate omega-3s, so when cattle eat lots of green plants, rather than grains like corn and soy, they produce meat that is rich in omega-3s. Omega-3s support brain, eye and nerve health, and they may have a positive impact on cardiovascular health by reducing inflammation in the body. How should I store Mighty Organic meat snacks? Mighty Organic snacks are hardy enough to be stored almost anywhere, but we do not recommend freezing. Is there added sweetener in Mighty Organic meat snacks? Yes— we include a small amount of organic honey in Mighty Organic snacks. Without honey, Mighty Organic snacks would be dry and hard to chew. Honey also improves shelf-stability. 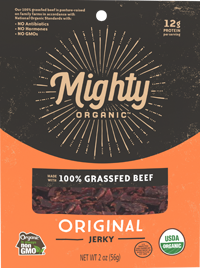 So Mighty Organic snacks are Paleo-diet-friendly. The only exception for now is the Cranberry & Sunflower Mighty Bar. The cranberries are very lightly sweetened with organic cane sugar. We are looking for a reliable source of organic, unsweetened cranberries. What makes Mighty Organic meat snacks low-glycemic? Low carbs and only a touch of sweetener (honey). Mighty Organic snacks have a glycemic index of less than 1, which is an important number for people with diabetes. 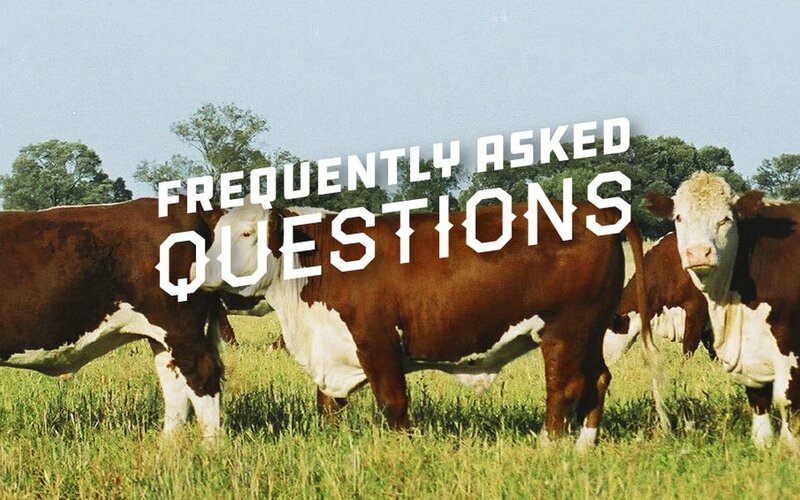 Where is Mighty Organic 100% Grassfed Beef produced? The Australian Outback. OBE, a group of organic farmer-owners in Queensland, Australia, graze their cattle over tens of thousands of hectares of pristine Channel Country. As the demand for organic grassfed beef grows, we are exploring domestic sources to complement our Australian supply. Where can I learn more about OBE, the Australian cattle operation that provides the beef for Mighty Organic meat snacks? We encourage you to check out their YouTube channel—it will help you see the Australian Outback in a new light.